I am again coming with a Interesting Review of Beaute VOV Make Up Kit 9 Eyeshadow+ 3 Blushers. 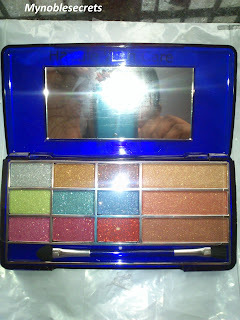 It is an interesting Make up kit which I got it from ebay. Ten days ago I have got a mail that They offered me 150Rs discount coupon. 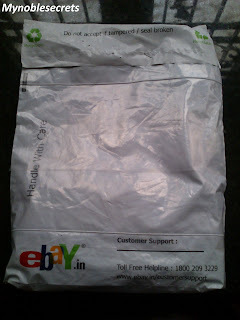 Suddenly I got an Idea (What an Idea Sir ji) and took a visit to ebay. My current hunt is all for eye shadows and Blushes. So, clicked eyeshadow and saw the varieties. 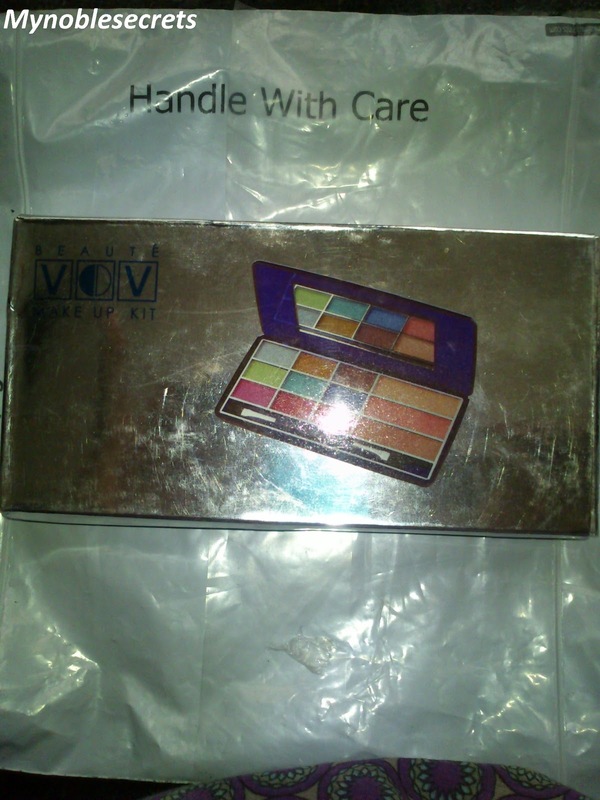 There I saw this Beaute VOV Make Up Kit 9 Eyeshadow+ 3 Blushers. 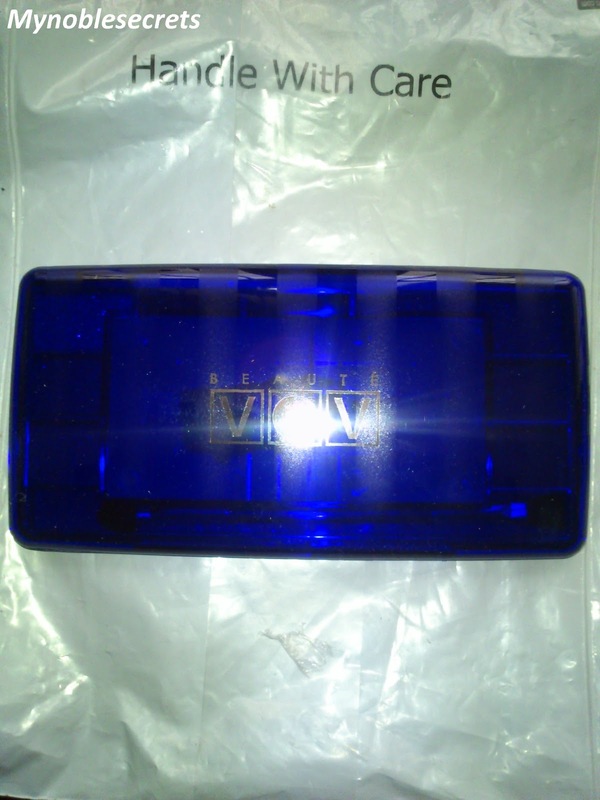 They have an offer that 299 Rs of this product in discount price as 249 Rs. So I have calculated that I have 150 Rs discount coupon.... 249-150=99+15=114Rs (Shipping charge=15). So immediately ordered and made online payment. The make-up kit comes in a blue box, which also has a mirror & a double sided brush. 9 eye shadows and 3 blushers expertly coordinated to intensify your eye and skin. All day wear without fading or creasing. The mirror is very good in quality and one can do entire makeup with this mirror. 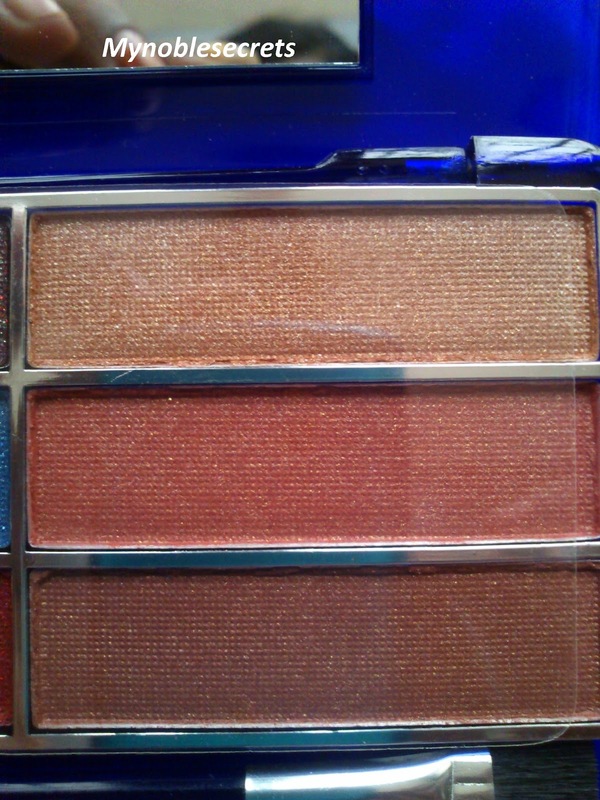 The blushes are great to work with, they blend quickly. The colours blend very nicely. 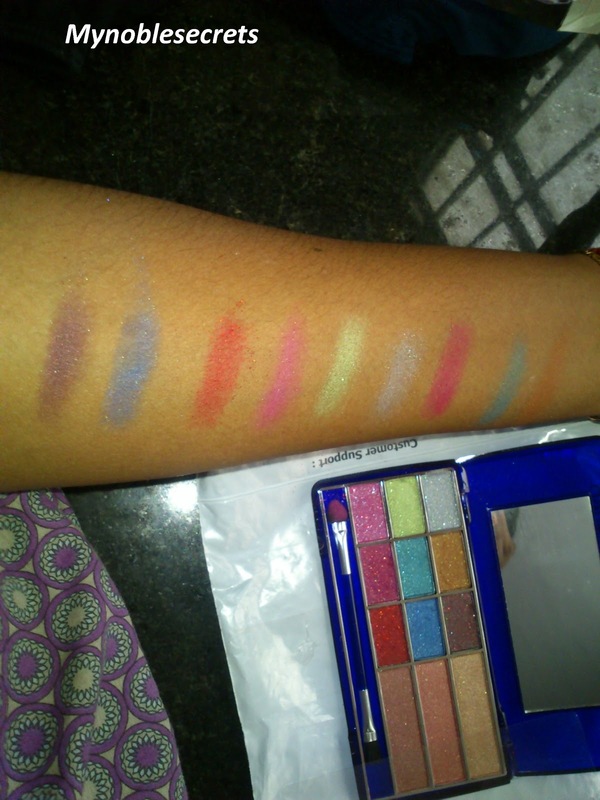 The eye shadows and blushers are very well pigmented and stay for a long time without fading or crease. 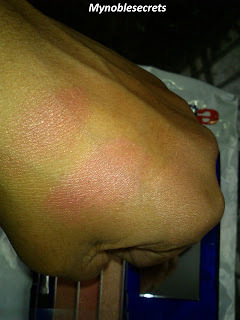 Talc, Mica, Dimethicone, Petrol Atum, Titanium Dioxide, Methyl Paraben, Prophylparaben. 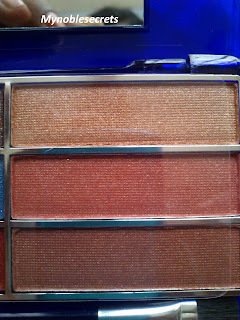 All Three is looking cool shades...But the 1st one from bottom shade I have never tried ???? 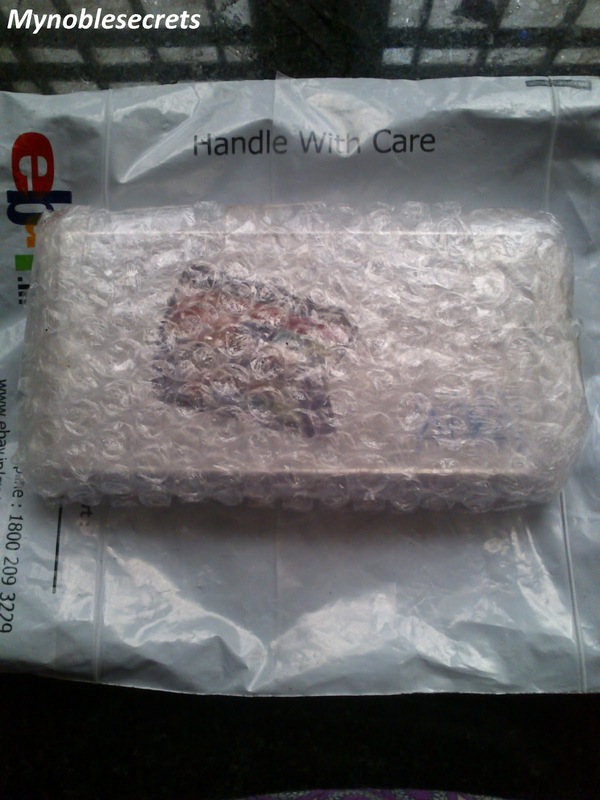 Very easy to carry with us as it is tight closed box. Blushes are just awesome also Eye shadows. Parabens and Titanium Dioxide are the drawbacks in the Ingredient list. 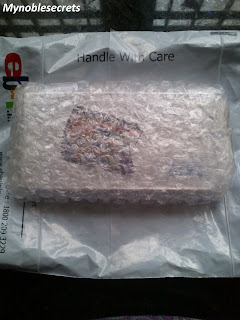 No shell life mentioned as i have sent a enquiry about it to the seller. Little difficult to open the Box. 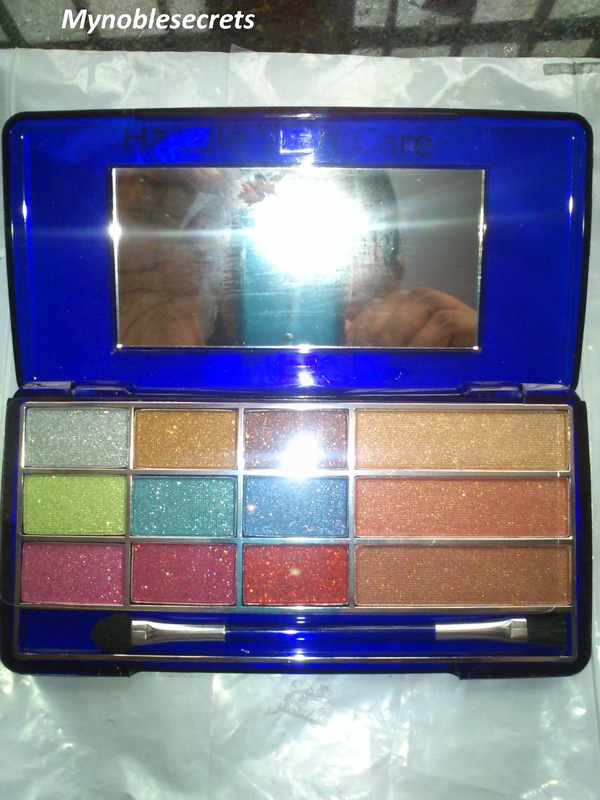 Some Eye shadows are very subtle and poor colour. Hope You all enjoyed this Review and useful. I think it's a bronzer at the bottom. Anyways thanks for the review. 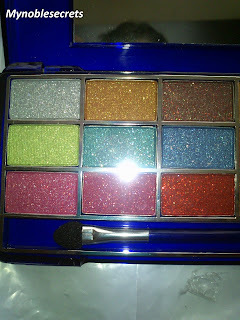 The eyeshadows are really bright for day wear. I think it's good for festive eye makeup. By the way have you become expert in eye makeup? No makeup look posts are coming up?